Dionisio Contreras Duran, age 47 of Charlotte, North Carolina passed away on Monday, November 19, 2018. Born in Guanajuato, Mexico on December 26, 1970, he was the son of Manuel Conreras and Enedina Duran. 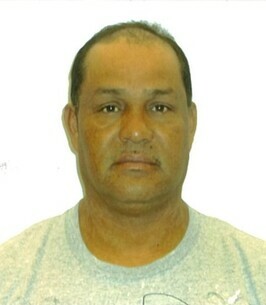 Mr. Contreras Duran was a construction worker. In addition to his parents, he is survived by his wife, Maria Fernandez Lopez; son, Juan Contreras; daughters, Bianca Contreras and Lorie Contreras; sister, Gloria Contreras Duran; several grandchildren. A Funeral Mass is scheduled for 10 am, Friday, November 30, 2018 at Saint Marks Catholic Church with Father Jose Luis officiating. The family will receive friends beginning at 12 pm on Thursday, November 29, 2018 at 259 Foster Street, Cornelia, GA 30531. To plant a tree in memory of Dionisio Contreras Duran, please visit our Heartfelt Sympathies Store. We encourage you to share any memorable photos or stories about Dionisio. All tributes placed on and purchased through this memorial website will remain on in perpetuity for future generations.